The sandwich, is the most popular world-wide fast food. 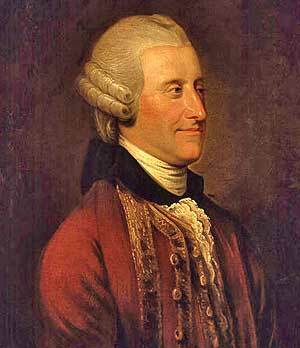 The word sandwich that we use today was born in London England during the very late hours one night in 1762 when an English nobleman, John Montagu (1718-1792), the Fourth Earl of Sandwich, was too busy gambling to stop for a meal even though he was hungry. He ordered a waiter to bring him roast-beef between two slices of bread. 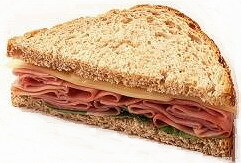 The Earl was able to continue his gambling while eating his snack; and from that incident, we have inherited that quick-food product that we now know as the sandwich. He apparently had the meat put on slices of bread so he wouldn’t get his fingers greasy while he was playing cards. 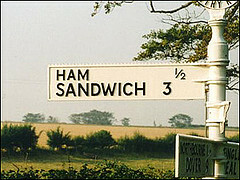 It may surprise some to learn that Sandwich is actually a place. The 'wich' in Sandwich is from the Anglo-Saxon word for a port. Later old English 'wic' from Latin vicus, which also gives us the word vicinity. The word sandwich has since taken on many uses. When something or someone is stuck between two other objects they are said to be 'sandwiched'. I wonder what expression they used before the sandwich was born?